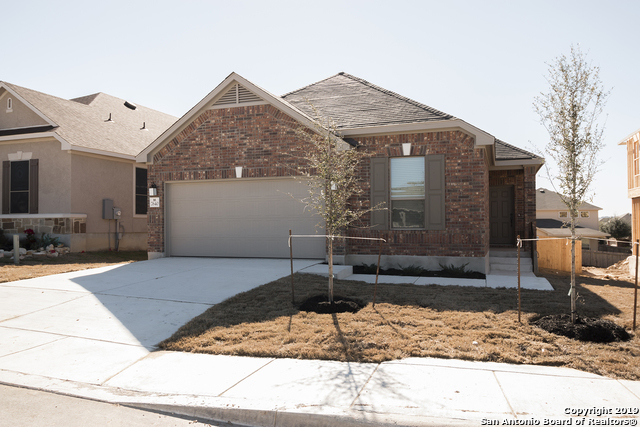 All MIRABEL homes currently listed for sale in San Antonio as of 04/26/2019 are shown below. You can change the search criteria at any time by pressing the 'Change Search' button below. "Home features crown moulding at living areas, 2-in. faux wood blinds, Woodmont Cabinetry Windsor bead board kitchen cabinets, extended granite kitchen countertops with upgraded tile backsplash, Whirlpool glass top range, microwave/hood combination, and 3-cycle dishwasher, water closet at master bath, raised vanity at master bath, garage door opener with two transmitters, upgraded Sherwin Williams interior paint color, soft water loop, and covered patio."